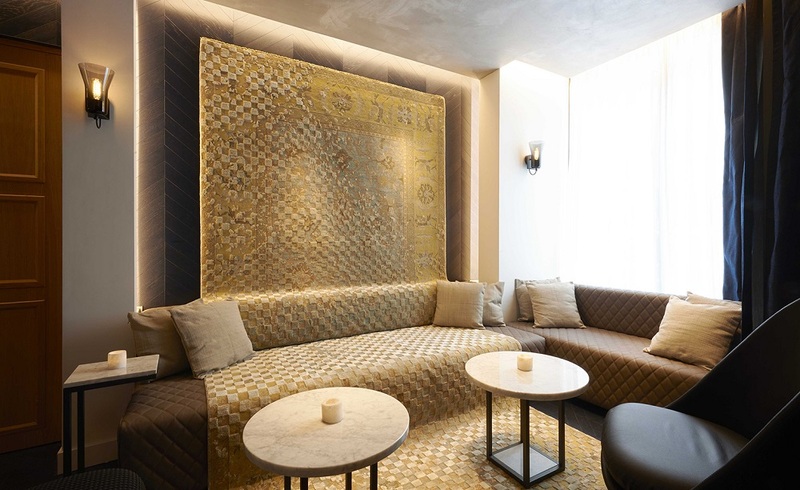 Amastan Paris has opened and marks the first flagship of the new urban hotel brand, Amastan. The hotel is situated in the heart of the elegant 8th arrondissement and offers a ‘curated home’ for the guests across 24 well-appointed guestrooms. Located on a quiet street that links Rue du Faubourg Saint-Honoré and the Avenue des Champs- Elysées, the hotel brings a younger and livelier offering to one of the most distinguished and cultured neighbourhoods in the world. 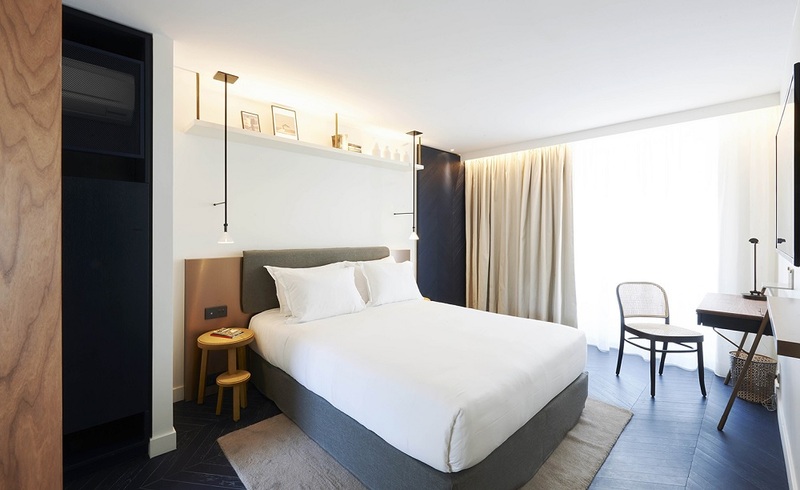 Inspired by the classic codes of Parisian apartment architecture, design studio NOCC has carefully considered each aspect of the hotel’s interiors and atmosphere in a way that is at once quietly eclectic, comfortable and gently understated. Framed by a specially conceived architectural light scheme, the ground floor spaces feature striking petrol blue herringbone parquet floor playfully applied to the walls, a specially commissioned tapestry by designer Jan Kath, a two-story library wall and a long high table in ombré marble, together creating an atmosphere that’s at once intimate, warm and vibrant. 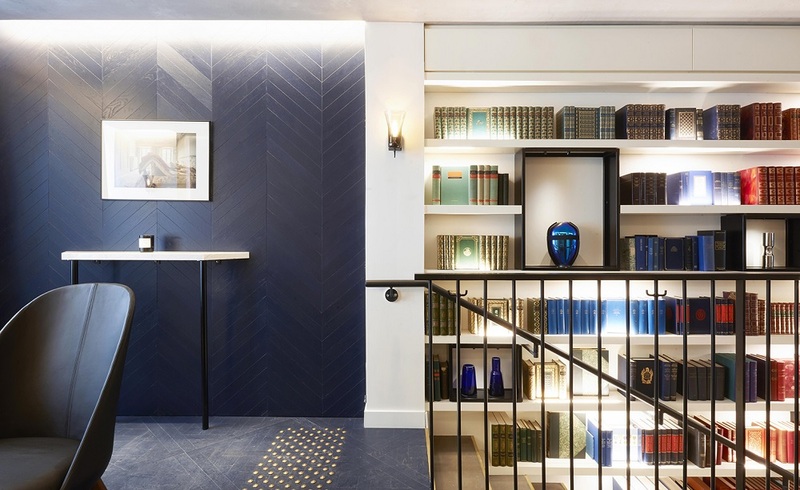 The cosy rooms, allocated over six floors, also feature the signature blue parquet walls and flooring which provide a subtle contrast to the otherwise elegant and paired down aesthetic. The rooms include bespoke furniture in juxtaposing textures and materials including ash, lacquered oak, copper and brass, which play against the airy white accents seen in the bathrooms’ marble tiling. Guestrooms facing the back of the hotel benefit from beautiful garden views, some with their own private furnished balconies, a unique feature in the centre of Paris. In the timeless style of a classic Parisian home, Anouk opens out through a set of large bay windows onto a lush internal garden, offering an evergreen haven where guests can enjoy a drink and a quick bite. This one-of-a-kind landscaped setting also features striking rock shelving that provides natural seating amongst over thirty different species of trees, plants and flowers. 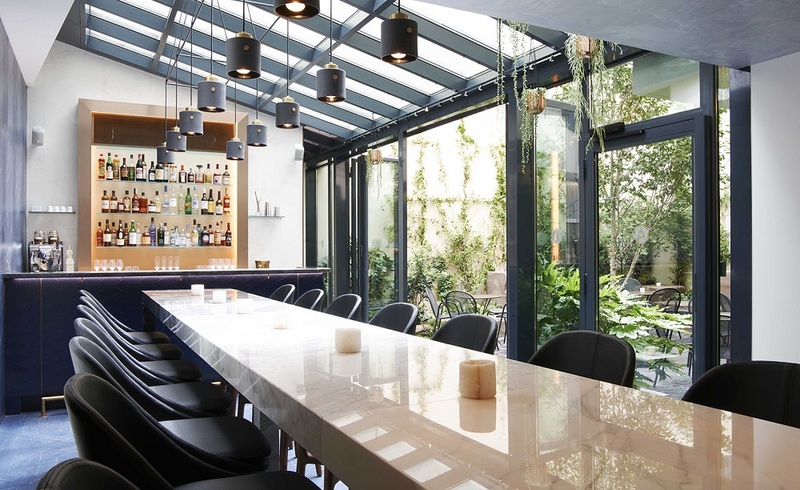 The bar and its garden are open to guests and can be hired separately for private events. Adjacent to the hotel’s entrance, Amastan’s project space will be Paris’ first wholly dedicated to pop-up installations, welcoming collaborative projects predominantly in the worlds of art, fashion and design. “I like to think of Amastan as a host greeting a dear friend as he or she returns to the city from a faraway exploration. 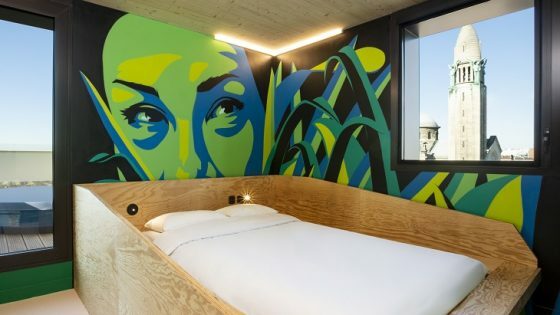 Our aim is for our guests to feel like themselves, as though Amastan belongs to them and not the other way around,” said Zied Sanhaji, Founder of Amastan Hotels.